How much is Milo Yiannopoulos Worth? 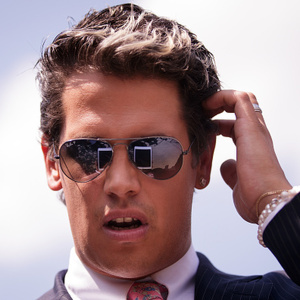 Milo Yiannopoulos net worth: Milo Yiannopoulos is a British journalist, author, entrepreneur and senior editor who has a net worth of $4 million. Milo Yiannopoulos was born in the United Kingdom in October 1984. He serves as the senior editor for the far-right website Breitbart News. Yiannopoulos founded the online tabloid magazine The Kernel and sold it to Daily Dot Media in 2014. He is a critic of Islam, third-wave feminism, political correctness, and social justice and has been called a spokesperson for the alt-right. In 2016 Yiannopoulos was permanently banned from Twitter for "inciting or engaging in the targeted abuse or harassment of others". He is popular on YouTube and has more than half a million subscribers. It was announced in 2016 that he was writing his autobiography titled Dangerous which reached #1 on Amazon.com's list of best-sellers for pre-sales of the book which has also drawn controversy and criticism. In February 2017, Milo lost his book deal after several conversations came to light which featured Milo speaking controversially about pedophilia. 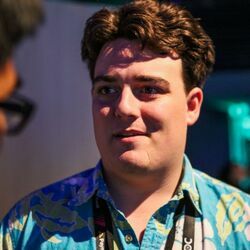 He was also forced to resign from Breitbart.com in the wake of the controversy after several editors at the site vowed to quit if he was not fired.